I woke up with sore quads… actually, if I’m being totally honest, my quads were already sore by last night! I guess the squat test was just as brutal on my muscles as it was my mind. 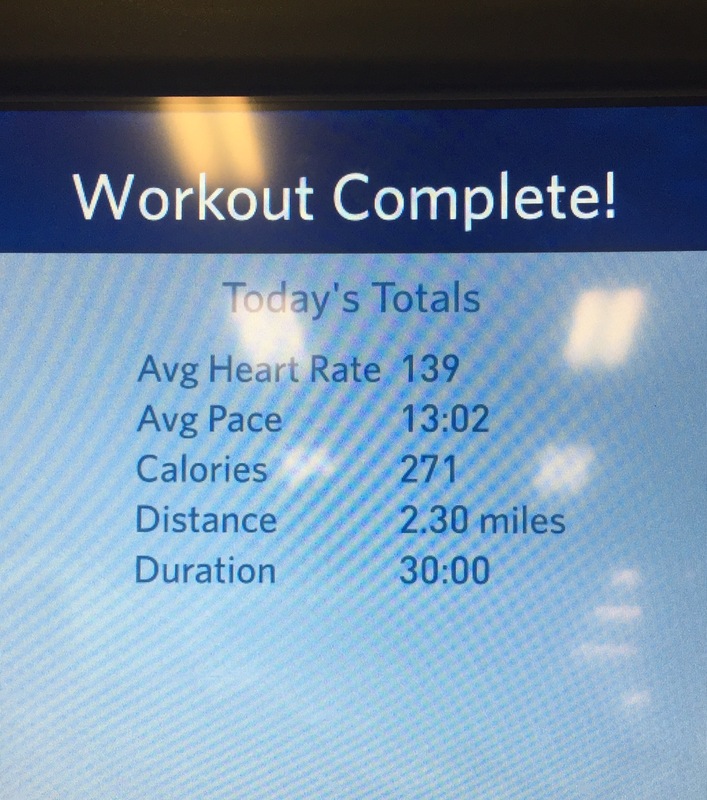 But no matter, today’s training assessment was already set: treadmill fun to test the efficiency of my cardio and stride. Test: how far can you go in 30 minutes keeping your heart rate under 140bpm? You know I’m competitive and of course made a game out of it, as you can see with my average heart rate results!